This is something that has been circling online for some time, but it’s now been confirmed by a reputable source. According to James Pearce in the Echo, Alex Oxlade-Chamberlain will not be anywhere near ready to return for pre-season and in fact is likely to be absent from the first-team until November. That will mean by the time the 24-year-old is ready to start training, he’ll have been sidelined for six months. One positive (slight) is that he’ll be doing the majority of his rehabilitation over summer, which will minimise the number of games he’ll miss – but by November – a good chunk of the Premier League is done and the Champions League Group Stages are almost complete, too. What worries us most is how badly players who’ve missed Klopp’s infamously demanding summer regimes have struggled to get up to speed. 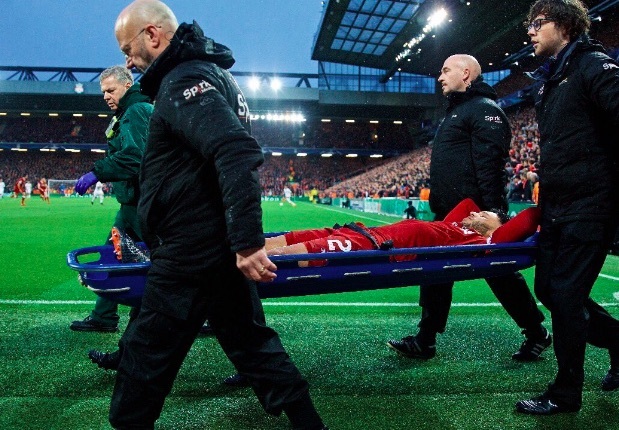 Adam Lallana was out until November this season, but simply couldn’t get match-fit and picked up a series of niggles in the process of trying. Against Brighton yesterday he put in a fairly decent 20 minute cameo, which was his only telling contribution of 2017/18. Ox is younger than Lallana, and we just hope he works hard, has good luck and that his body recovers so we can see him back in red as soon as possible.